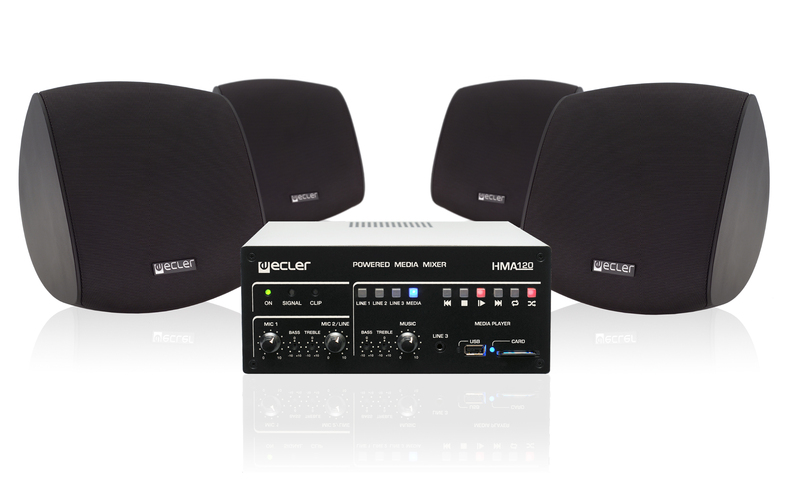 ECLER ESSENTIALS HORECA140 is a plug&play audio pack including everything that one needs to quickly and easily install a professional audio system, even having very few technical or audio skills. A single reference sound system for rooms from 10 to 150 m2. With excellent class D amplifier the half rack HMA120 has a multitude of inputs. Thus, thanks to its built in “SD” and “USB” reader, you will even manage your mp3 audio content. Three RCA Stereo Line inputs two microphone inputs, one switchable to “Line” level complement mixing features of this amplifier. A simple bass and high frequencies management for each input type, is available the front panel. The amplification output allows working with low-impedance speakers (120 W into 4 ohms) or high impedance 70V / 100V. For additional power requirements, the audio output on the rear panel AUX Out lets you connect an additional amplifier unit. Other features include the remote volume control port (WPmVOL) (RJ45), a MUTE touch interface for alarm systems, DIP switches to manage the noise gate, priorities micro and automatic stand-by mode . You add to that, 4 x 106 Audeo BK speakers in the carton. The AUDEO enjoys a balanced and innovative design, a collaboration between Ecler and the prestigious group Giugiaro Design. 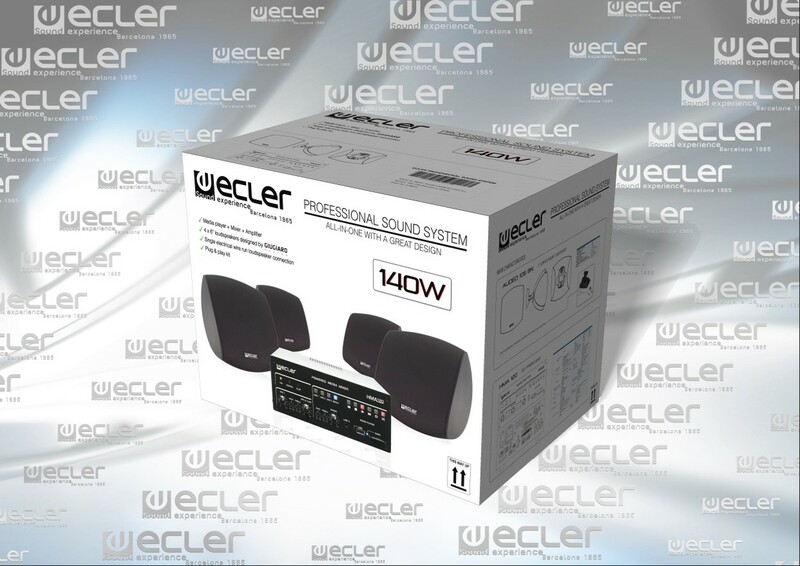 This series is ideal for a multitude of sound projects: corporate and residential buildings, business premises, play areas, health centers, meeting and conference rooms, auditoriums, museums, etc.